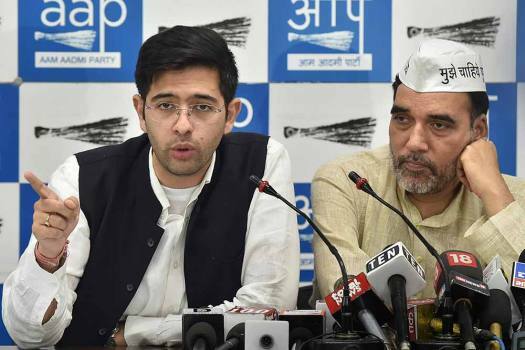 Delhi AAP convener Gopal Rai and party's South Delhi constituency candidate Raghav Chadha (L) address the media at the party office in New Delhi. 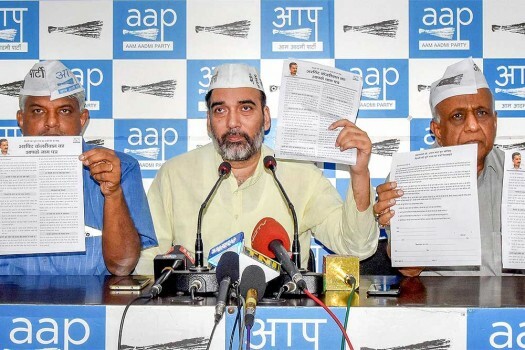 AAP's Delhi convenor Gopal Rai addresses a press conference to announce about the party's campaign for Lok Sabha elections at the party office, in New Delhi. 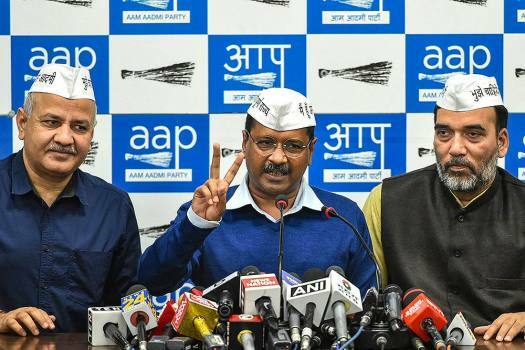 Delhi Chief Minister Arvind Kejriwal flanked by his Deputy Chief Minister Manish Sisodia (L) and AAP leader Gopal Rai addresses the media, in New Delhi. 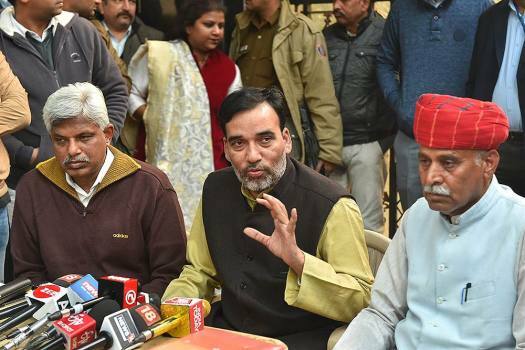 AAP leader Gopal Rai addresses the media after party's National Executive Meet, in New Delhi. 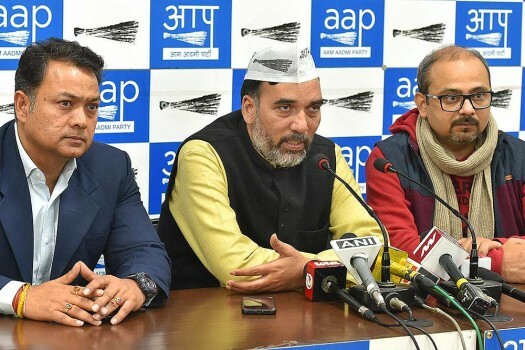 Senior AAP leader Gopal Rai and others address the media regarding their demand to get full statehood for Delhi, at Party office in New Delhi. 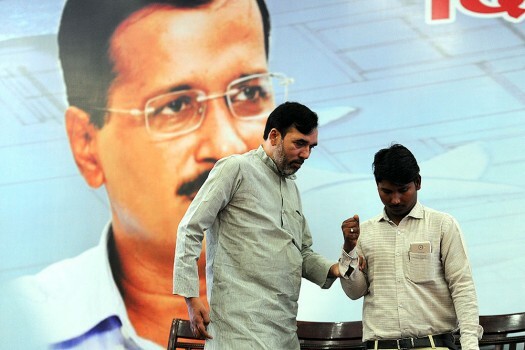 Delhi Rural Development Minister Gopal Rai during an event on Labour Day in New Delhi. 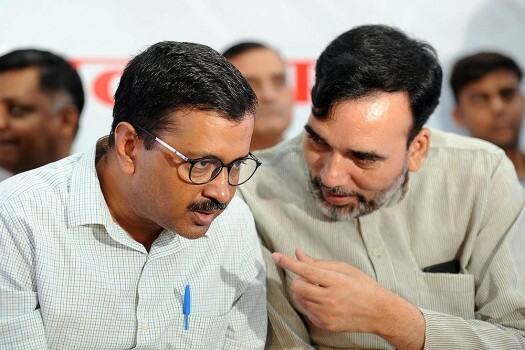 Delhi Cheif Minister Arvind Kejriwal with Delhi Rural Development Minister Gopal Rai during an event on Labour Day in New Delhi. 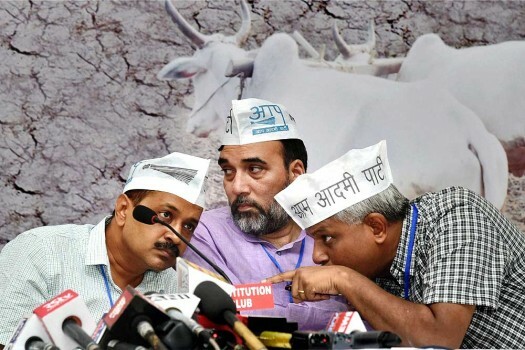 Senior AAP leaders Gopal Rai and Dilip Pandey address a press conference in New Delhi. 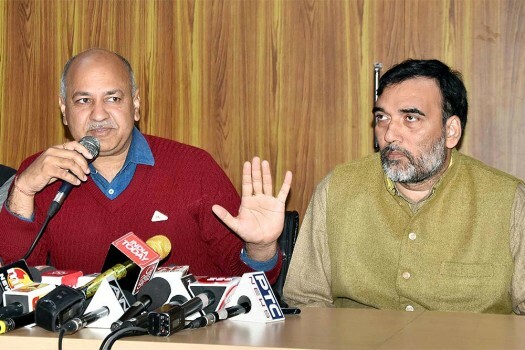 Delhi Dy Chief Minister Manish Sisodia with AAP leader Gopal Rai address a press conference in New Delhi. 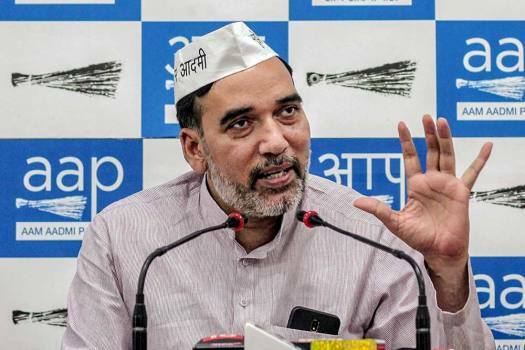 AAP leader Gopal Rai addresses a press conference at the party office in New Delhi. 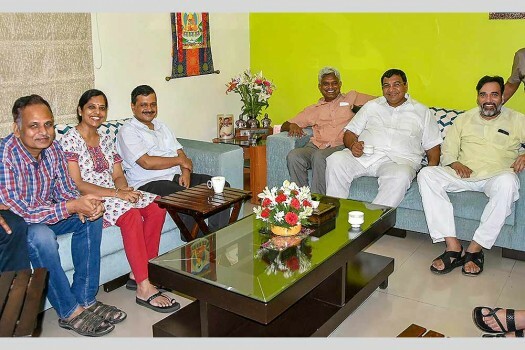 Delhi Chief Minister Arvind Kejriwal and others party leader at party Kisan Sammelan in New Delhi. 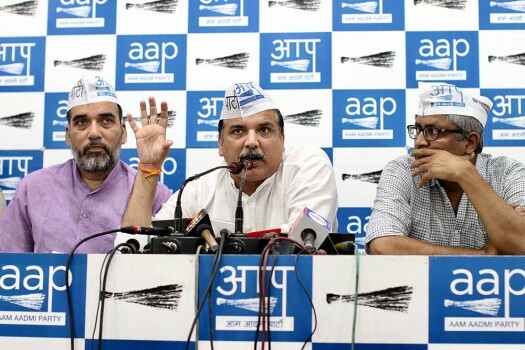 AAP leader Sanjay Singh, Ashutosh and Gopal Rai during press conference on CBI raid at Manish Sisodia's residence, in New Delhi. AAP leaders Gopal Rai and Ashutosh addressing a press conference on farmers' issue in New Delhi. 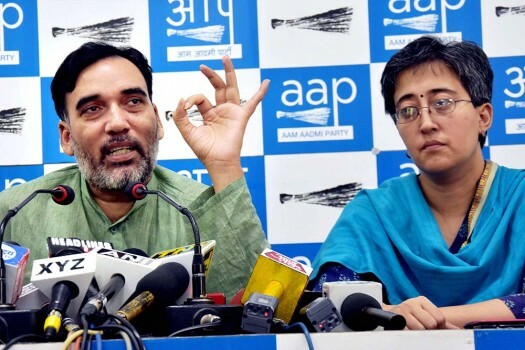 Delhi Labour Minister Gopal Rai with AAP spokesperson Atishi Marlena during a press conference at the party office, in New Delhi. 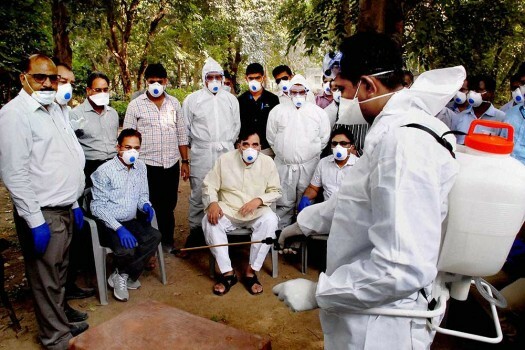 Delhi Rural Development Minister Gopal Rai inspects the safety measures against bird flu at Deer park, in New Delhi. 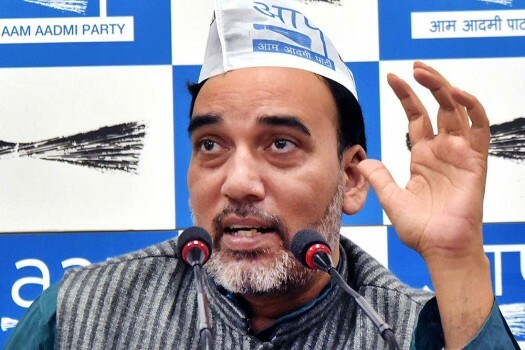 Senior AAP leader Gopal Rai noted that Lokpal's appointment marks the culmination of the most intense peoples' struggle in India and said Prime Minister Modi was scared of putting himself under its scrutiny. 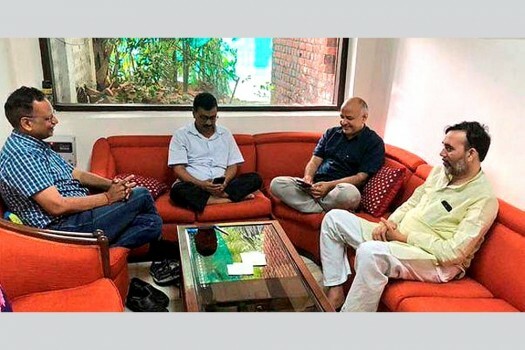 Convener of AAP's Delhi unit Gopal Rai said that a complaint will be filed with police, which the party claimed to have been a "mute spectator" during the Sunday's incident. 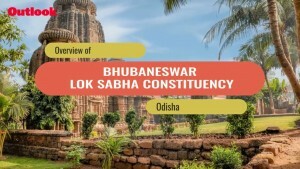 But, the party has said that it will field candidates only on seats that meet certain criteria set by its central leadership. 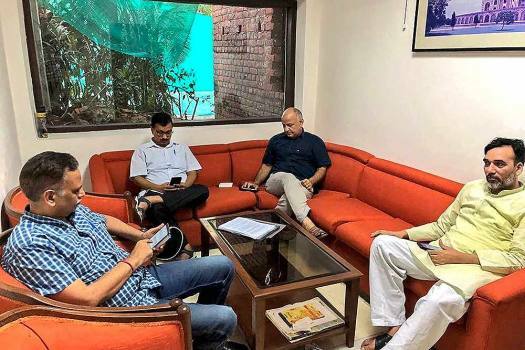 The protesters, including AAP MLAs and newly appointed Delhi convener Gopal Rai, alleged that the manipulation of electronic voting machines was killing democracy.